There are days where you woke up and realize that it’s going to be one of the days that you feel terrible the whole day, without knowing the exact reasons. While it’s easy to recover from occasional moodiness, a prolonged negative mood can drain you out of energy and affect your well-being. That’s why mood enhancing supplements are popular remedies in modern life. Life is never a perfectly smooth journey. But too much negative emotions can impact your mental health if prolonged. These negative emotions can build up gradually and consume you without realizing it. For example, a trying to hold on to a toxic relationship can cause anxiety to build up. On the other extreme are negative emotions resulting from events that happen out of the blue. The loss of a loved one, losing a job, and having a dreaded diagnosis from your doctor can cause extreme stress, anxiety, grief and eventually plunged you into depression. Mental disorders, especially anxiety and depression are not to be taken lightly. When not treated, you will find your life is brought to a halt. It can cause you being shunned by my acquaintances, and you’ll find yourself struggling financially due to your condition. To shed light about how serious mental health issues are, you just have to digest the fact that 18.5% of Americans suffered from mental illnesses in a year. It may seem a hopeless battle when you’re trapped in anxiety or depression. But there are ways to gradually inch your way out of it, and a part of it depends on our diet. Have you ever wonder why you went on a rampage of binge eating after a breakup? It feels satisfying munching away the snacks, pampering yourself with gelatos before washing it off with ice-cooled soda. You may feel good for a while, but often your emotion crashes badly after a short period later. It is well proven that almost every type of food that you eat will affect your mental health, for better or worse. The nutrients contained in the food ultimately leads to the production of hormones and neurotransmitters in your brain that affects your mood. Some types of foods, or rather beverage, like a cup of caffeine-laden espresso, have an immediate effect on your brain. I would literally sense my stress level sky-rocketing after a sip of my favorite latte. Others, like tryptophan riched food, that helps in promoting a positive mood, may take longer to reach the brain. Some foods help to boost your mood because of the organic compounds or nutrients that they contain. If you’re serious about revamping your dietary habits for a healthier mind, here are some of the most effective mood boosters you can find in your food or beverage. Think salmon and other fatty fishes. The omega-3 acids, especially DHA helps to regulate the neurotransmitters in the brain. In doing so, the billions of neuron cells in the brain are able to send messages across more efficiently. This reduces the chances of developing anxiety, depression and other mood disorders, according to this scientific publication. Magnesium is one of the most common minerals that are important for various functions of our body, including maintaining our emotional wellness. A clinical study that involves 126 participants prescribed with over over-the-counter magnesium has shown a significant reduction in depressive symptoms. Chamomile has been used for thousands of years by past civilizations for its calming properties. Today, chamomile tea is one of the most common moods enhancing drink for anxiety and stress relief. It is well-proven in a study to produce safe anti-depressant effect in human and can help individuals with anxiety and depression. Our body needs amino acids for important body functions. L-Tryptophan is one such amino acid that cannot be produced by the body. Instead, intake of foods rich with L-Tryptophan such as seeds, nuts, poultry, cheese, and fish are essential to prevent depression. An ancient herb used in religious ceremonies in Pacific Islands, Kava kava is known for its calming effect. Clinical studies also point to the positive effect of Kava kava for mood enhancement and alleviating anxiety. The above are only a fraction of what works in boosting your mood when taken in your meal. But if you’re experiencing constant negative mood, or suspect that you’re sinking into depression, supplements are better options than home-made meals. One of the reasons why I’m preferring supplements is the accurate dosage per serving that is written on the label. You know how much you’re taking per day and it’s easier to gauge its effectiveness on your mood. Another reason why you may prefer supplements are most prepared foods may undergone processes that have destroyed the key minerals, vitamins or organic compounds that may promote your emotional wellness. Whether you’re taking the supplements by capsules, or tincture, they are also more efficient than finishing a complete meal. Busy modern executives will definitely agree on the time-saving aspect of mood-enhancing supplements. There are possibly thousands or more natural mood enhancing supplements supplied by various manufacturers. It’s always a mistake to pick the cheapest one off the shelf. You may end up with an inferior product that does nothing to uplift your mood. Or in the worst cases, you’re taking a chemical-laden product that is harmful to your health. Instead, consider these factors when choosing a mood enhancer supplement. There are many herbs, vitamins, minerals or natural supplements that can boost your mood. Each of these supplements usually has more benefits than merely lifting your mood. You may want to do a quick research of the complete health benefits before choosing a supplement. In some cases, mood supplements that are made of a few natural ingredients can be the better option. Wellness supplementary products is a lucrative market. It is not uncommon for some unscrupulous manufacturers to introduce low-quality products into the market. It’s important that the manufacturer adheres to best practice in the entire supply chain. Look for labels of ‘organics’, ‘GMP’, ‘non-GMO’, ‘gluten-free’ or related certifications. Taking mood enhancing supplements for general emotional wellness is different from taking them for specific conditions like anxiety or depression. If you’re taking it for a specific disorder, you’ll want to consult your doctor for the right dosage. Each individual may react differently to the same dosage of a particular supplement. It will be wise to check out the feedback from other users who are taking the product to minimize the risk of getting the wrong supplement. Although mood enhancing supplements are made of natural ingredients, some individuals may exhibit side effects when taking the supplement. In such cases, discontinue the use of the supplement and consult your doctor for further advice. Pregnant and breastfeeding mum should also refrain from taking any mood enhancing supplements unless advised by their doctors. The same happens to individuals who are under any prescription medications, as some of the supplements may interact with the drugs. There will always be an abundance of choice when it comes to mood enhancement supplements. The challenge is always to sort out the superior products from the rest. I’ve compiled some of my top picks and I hope it helps you in your search for one. Taking Omega-3 supplements help to keep your brain healthy. 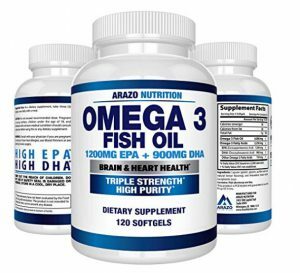 Instead of buying fresh salmon from the market, you can take these Omega-3 fish oil soft gels from Arazo Nutrition. It has a total of 2250 mg of DHA and EPA in a single serving of 3 soft gels. The oil is harvested from fishes caught from the oceans through a special molecular distillation process that removes all impurities. This technique not only removes mercury, heavy metals, and other toxins but also ensure a high concentration of Omega-3 fatty acids. Some individuals wary of fishy burps when taking Omega-3 fish oil but Arazo Nutrition special formulation ensure the soft gels are odorless and do not cause fish burps. A light hint of natural lemon flavor made it all more pleasant to take as a mood enhancing supplement. Magnesium is known for its versatile benefits to human’s health including regulating mood swing. It is usually offered in capsules form as a supplement. 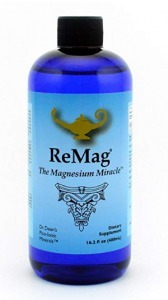 However, this particular magnesium supplement by ReMag is in liquid form. Liquid supplements are known for its superior absorption rate, and that means, lesser time for the magnesium to be absorbed into your body. The liquid magnesium offered by Remag is in picometer-ionic form, meaning each of the magnesium molecules is smaller than the absorption channel in our body. ReMag’s liquid magnesium is claimed to have a 60,000ppm concentration 99.99% pure elemental magnesium, making it one of the most highly concentrated supplements amongst competitors. It is easy to introduce as a supplement. To start with, you just have to mix 1/2 teaspoon of liquid magnesium with water, juices or smoothie. Chamomile tea is one of the most preferred moods calming drink by many, including me. Sipping a cup of organic chamomile tea before bedtime is especially effective in chasing away anxious thoughts. 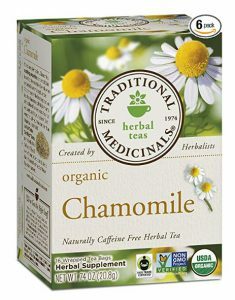 You can make your own chamomile tea easily from one of the teabags by Traditional Medicinals. The teabags contain the highest quality pharmacopeia chamomile that produces bittersweet honey-like tea when steeped in boiled water for 5-10 minutes. The chamomile flowers are grown organically and processed in a non-GMO verified facility. They are free from any traces of caffeine and is Kosher. The tea undergoes strict testing before they are packed as Traditional Medicinals continue to upholds its decades-old reputation. 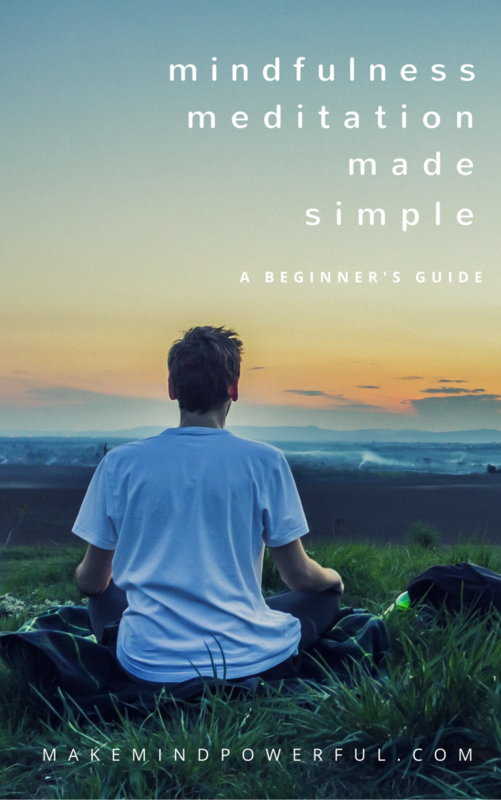 Great in calming the mind. Some customers receive defective products. L-tryptophan is a type of amino acids that help in synthesizing serotonin, an important neurotransmitter that can reduce negative mood and melatonin which promotes sleep. As our body doesn’t naturally produce L-tryptophan, you have the choice of taking L-tryptophan-rich foods or supplements. 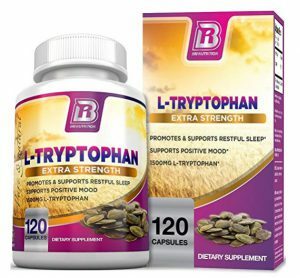 A serving of L-Tryptophan by Bri Nutrition contains 1,500 mg of L-Tryptophan and is great for individuals suffering from the serotonin deficiency. It helps to chase away anxiety as an increased level of serotonin and melatonin floods your brain. Any worries about the quality of this L-Tryptophan capsules are quashed as Bri Nutrition ensures each batch of products manufactured in a GMP-certified facility is tested stringently in the lab before being shipped to customers. Manufactured in a GMP-compliant facility. The name Kava Kava may sound unfamiliar to you, but this unique herbal plant that is used commonly in the Pacific Islands for religious ritual and also for a casual beverage to relax. Its strong calming properties is proven to be effective in easing stress and anxiety. 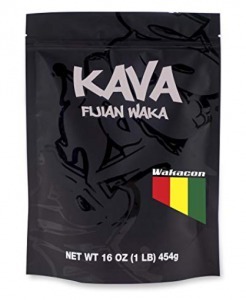 If you would like to try taking Kava to lift your mood just as the Pacific Islands natives do, this Kava Fijian Waka by Wakacon is one of the best options. The Kava is ground into fine powders that enable you to strain into a cup of kava drink easily. As you sip the kava drink, you may feel some numbness on your tongue, an indication of pure Kava powder. As the kavalactones, the active compound of kava, absorbed into your body, you’ll soon find that any stress and anxiety melt away. The taste may be overpowering for some individuals. If you prefer a synergic blend of natural ingredients to lift your mood, this Joy-Filled mood booster supplement is a great choice. The supplement is made of 7 natural herbs; Gotu Kola, Rhodiola root, St. John’s Wort, Ashwagandha, lemon balm, Ginkgo leaf and Eleuthero. Together, these natural herbs offer powerful healing properties that work against stress, anxiety, and depression. Some of the herbs help increase GABA, a neurotransmitter critical in regulating emotion. Others like Rhodiola and Ginkgo helps to reduce cortisol level, a hormone associated with increased stress level. Another important ingredient, the St. John’s Wort, helps to increase the level of serotonin and dopamine in the brain to make you feel calmer. You’ll start to experience a more stable mood after taking two capsules during your meal on a consistent basis. All of the ingredients used are non-GMO and vegan-friendly. This mood-boosting supplement combines five of the most potent mind-calming ingredient to combat stress and anxiety. Each of the vegetarian capsules contains Ashwagandha, GABA, Kava Kava, Theobromine, and L-Theanine. If you’ve been feeling stressed, to the extent that it disrupts your sleep and mood, you can start taking two Anxie-T capsules on a daily basis in the morning. You may add an extra capsule in the evening if you need a stronger dosage to improve your mood. The formula created by Life Seasons is claimed to produce results on the same day for certain individuals. This is a testament of the perfect harmony of nature and science that has been perfected by the manufacturer. Contain a harmonious blend of relaxation-promoting ingredients. 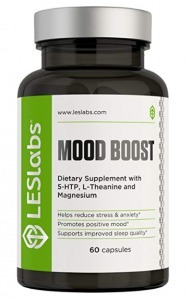 The Mood Boost is a natural supplement meant to alleviate stress and anxiety. 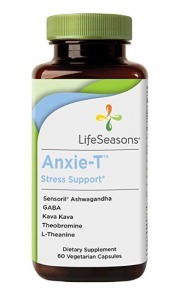 It combines L-Theanine, L-Tyrosine, Ashwagandha, Passion Flower, GABA, Rhodiola Root Magnesium, Chamomile, Lemon Balm and 5-HTP in capsules form. This huge assemble of mind-boosting ingredients made it one of the most powerful stress-relieving herbal blend available. To start including the Mood Boost in your supplement, you can start by taking a single capsule daily before increasing it to two if necessary. The capsules are manufactured in the USA with all of the ingredients certified to be non-GMO. They are extensively tested to ensure that no impurities made its way to the capsules. 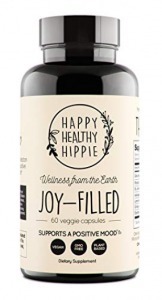 Vegans will also find the capsules a great alternative for promoting emotional wellness. Made from a huge range of mind-calming ingredients. Potent supplement to regulate mood. May cause side effects for some. 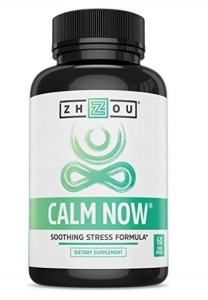 Mood enhancing supplements are not supposed to cause drowsiness, at least that’s what is claimed by Zhou, the manufacturer of Calm Now herbal capsules. Calm Now is formulated for individuals who faced multiple stressors in modern life and enable them to stay calm while dealing with their daily routine. Calm Now brought together some of the most effective mind-boosting herbs, including lemon balm, passion flower, hops and hawthorn powder. It also contains Ashwagandha, Rhodiola Rosea, and Bacopa Monnieri extracts. Not only that, you’ll also get a boost of vitamins and minerals, as each capsule is enhanced with Vitamin B1, B2, B5, B6, niacin, magnesium, and zinc. Taking two capsules daily is all you need to be relaxed, focus and project the best version of yourself. Made with all natural herbs, vitamins, and minerals. Help reduce anxiety and depression. The main active ingredient in this mood-boosting supplement is SAM-e, (S-adenosyl-L-methionine), a natural compound that helps to regulate hormones in the body and maintain cell membranes. Besides this, it also contains L-Tyrosine, Rhodiola Rosea, Red ginseng, Griffonia seed, Coffea arabica, and L-Theanine. You’ll also get a boost from Vitamin B1, B2, B3, B5, B6, B12 and D3 that are present in the capsules. The capsules are formulated for delayed-release to ensure maximum absorption of the nutrients the body. 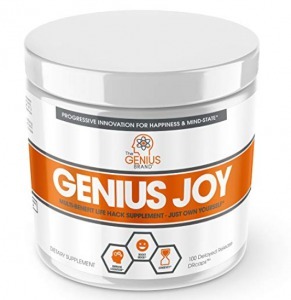 To get the benefits of Genius Joy mood booster, you can start by taking one capsule daily before gradually increasing to two in the morning and two in the evening. You’ll know the signs indicating that the effects have kicked in when you feel more focused and improved mental clarity. Formulated with potent mood-boosting ingredients. Delayed release capsules for optimal absorption. Helps to prevent depressed feelings. May cause side effects for some people. I hope you found a suitable mood enhancing supplement to end your negative mood from this list that I have curated. Let me know what’s your preference in the comment below.